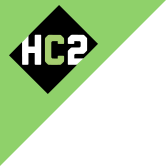 Investor Overview | Investor Relations | HC2 Holdings Inc.
HC2 Holdings, Inc. is a publicly traded (NYSE: HCHC) diversified holding company, which seeks opportunities to acquire and grow businesses that can generate long-term sustainable free cash flow and attractive returns in order to maximize value for all stakeholders. HC2 has a diverse array of operating subsidiaries across eight reportable segments, including Construction, Marine Services, Energy, Telecommunications, Life Sciences, Broadcasting, Insurance and Other. HC2’s largest operating subsidiaries include DBM Global Inc., a family of companies providing fully integrated structural and steel construction services, and Global Marine Systems Limited, a leading provider of engineering and underwater services on submarine cables. Founded in 1994, HC2 is headquartered in New York, New York. Sign up to receive e-mail alerts whenever HC2 Holdings, Inc. posts new information to the site. Just enter your e-mail address and click Submit.